I’ve posted using nutritional yeast on zucchini fries and tofu scramble previously. It’s time to sprinkle on popcorn! The ones from the movies or microwavable packages are horribly salty and oily. 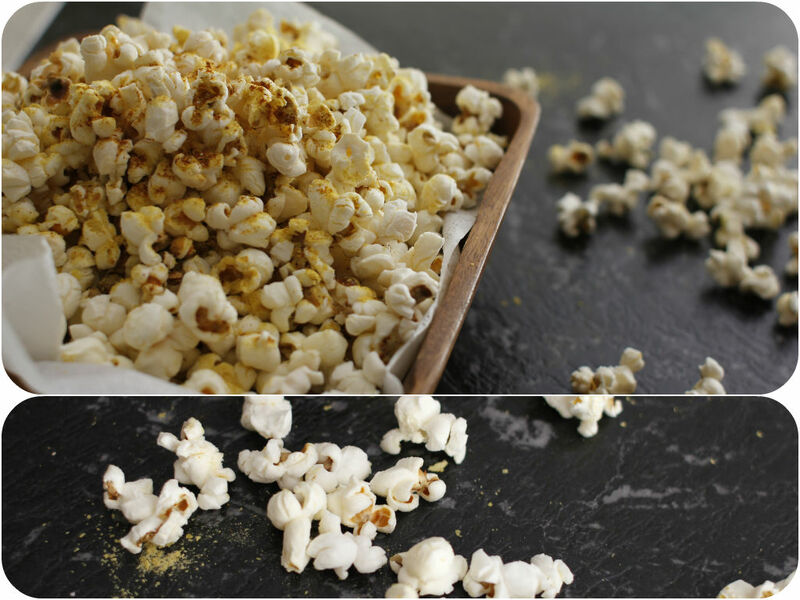 Making popcorn at home is super easy. So I definitely recommend it on the movie night or any weekends when you relax with a good movie.